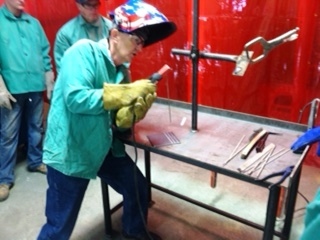 The Non- Certified Welding Class has gotten underway this morning at the Southern Ohio Kentucky Regional Training Center with members attending from Locals 18, 22 and 39. If you are interested in taking the next class contact Jeff Garnet at the SOKYRTC. 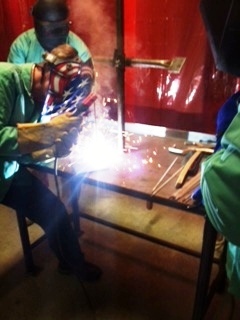 This is a shot taken from the Non-Certified Welding training that was held at the SORTC. 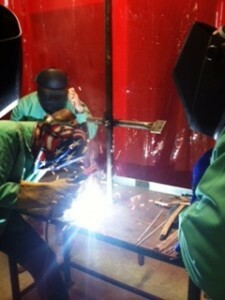 From left to right we have: Ben Igo (Local 18), Steve Rottman (welding instructor) & Richard Swanson (Local 22). Steve Rottman the welding instructor for the SORTC Non-Certified Welding Class.